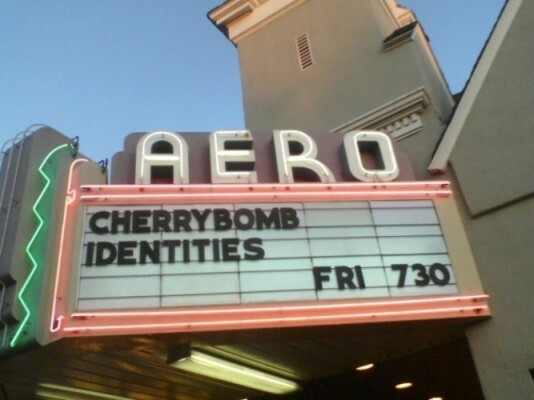 After attending the recent screening of Rupert Grint's latest flick Cherrybomb at the Los Angeles Irish Film Festival late last week, SnitchSeeker had the opportunity to sit down with the film's directors – Lisa Barros D'Sa and Glenn Leyburn – to discuss Rupert's involvement with the film and get some insight into their take on the actor. SnitchSeeker: How did Rupert get interested in the project? Did you send a script to him? Lisa: Yeah, we sent him the script, he read it and he was immediately really keen - we got news of that quite quickly. I think he was looking for a different kind of role to play, something that's a completely different world from Harry Potter films, perhaps a more adult role. I think it came at a good time for him. SnitchSeeker: Did you always know you wanted him to play the role of Malachy, or did you ever consider him for the other lead, Luke? Lisa: No, I think we always thought that - and Rupert himself felt that Malachy was the right part for him. When we talked to him about it, I think that was one of the first chats that we had about which character he identified with, etc., and we all agreed that he was Malachy. SnitchSeeker: Since Rupert's acting experience prior to Cherrybomb consisted mainly of acting in big budget films where he played the same character again and again, did you have any reservations about him possibly having a limited range as an actor? Lisa: No, because we met Rupert. He'd been sent the script and was keen to play the part. We met him in London. We had a meeting, we had a chat - he read for us, and it was just immediately clear. It's also seeing his previous work, but it was also when we talked to him and he read through the script and tried the accent; it was just clear that he had the talent the play that part. There are more experienced actors, I suppose, but it was really about someone who could inhabit the role, and we had no doubts about the fact that he would be able to do it. SnitchSeeker: What do you think his strengths are as an actor? And what do you think his weaknesses are? Lisa: Well, I find it very hard to talk about his weaknesses because we had such a great time working with Rupert. He was fantastic to work with - he was very instinctive. There are some actors that you have very long conversations with and analyze in depth each moment the character goes through, each turning point, etc., but Rupert's a very instinctive guy. He'll just get there in front of the camera, often very quickly, and you'll see that he's really understood things without having to talk about them for hours beforehand. He takes direction really beautifully. It was kind of a joy to work with him. He's so good natured. Glenn: It was. He was brilliant. And for us, for our first feature, having such an experienced actor, such a brilliant actor and actually such a gentleman, it was a great atmosphere on set - and that's helpful. Lisa: The schedule was so much more intense for him than on the Harry Potter set. Every day he was shooting so much. The schedule was so intense (a 24-day shoot). I think that was probably a surprise for him in the beginning, but he said in the end he really loved it because he was working all the time and getting into the role all the time. SnitchSeeker: Rupert's got a reputation for being pretty laid-back and cracking up a lot, actually, on the Harry Potter set. Did that happen on Cherrybomb? Glenn: But there was some giggling that actually made sense in the film. When the boys are in the apartment having a celebration, and at that point when they first start laughing - that wasn't really scripted. That was a genuine moment of Rupert just breaking down. Lisa: It was just a funny day on set because the boys were smoking fake [joints], obviously, but it seemed there was something in the air that all of the actors had corpsing, giggling moments that day. So it's not just Rupert, everyone succumbs to it. It was nice that we were able to take advantage of that and bring it into the movie. SnitchSeeker: What's Rupert's work ethic like? Lisa: He's totally professional, extremely punctual. He's got good manners. He's a considerate guy, and he knows that it's a big operation. And all the young actors are exactly the same, they like to go out and have fun, but they always turn up on time and do their work, and they're really concentrated and professional. So we were really lucky with that. The directing duo, who tied the knot just five days prior to starting the Cherrybomb filming and spent their honeymoon in Belfast, Ireland, rehearsing with the three main cast members – Rupert, Robert Sheehan and Kimberly Nixon - have been fervently working the film festival circuit since the film's completion. No more festival screenings are planned at the moment, however, as the pair seem quite hopeful that theatrical distribution for the film is imminent. Lisa: We haven't got any [festivals] lined up immediately. I think what's going to happen next is distribution … there's nothing definite to say at the minute, but we'll hear soon. Glenn: Yeah, we're going to hear about distribution quite soon. I think there is some good news on the horizon. Great interview , Rupert is really a great actor. Great interview! I love all the positive things they have to say about Rupes I hope one day I get to see this movie. Oh I cant wait to watch the film. What a great interview. He seems like a pretty cool and down-to -earth guy. I so love it when people speak highly of them! !